Heading into the final race of the season, there are still four drivers who can mathematically win. Despite a great race from Button this weekend, he has dropped out of contention. 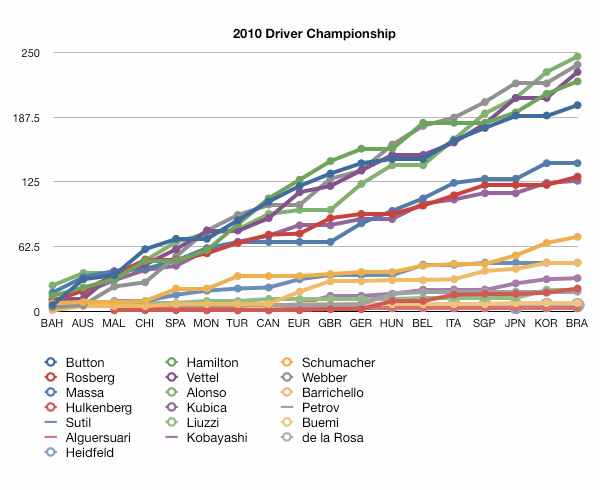 Hamilton remained in but only just - he would need to win and have the others crash out. Alonso retains his lead, and Vettel has closed up on Webber quite considerably.